Right, let me just get this out the way as I find it so pointlessly misleading and confusing; Rosa Centifolia is not a range designed to specifically target Rosacea, redness and other high-colour concerns. It’s a range designed to calm, soften and hydrate all skin types. Rosa Centifolia is actually the name of a Dutch hybrid rose known as ‘the hundred petal rose’ and is hybridised from the Damask Rose, used in the range for its bio-extracts Anthocyanins and Vitamin P (calms and soothes). There are also Tannins from the actual Rosa Centifolia to tone and tighten the skin as well as Polyphenols to decongest and unblock the pores. 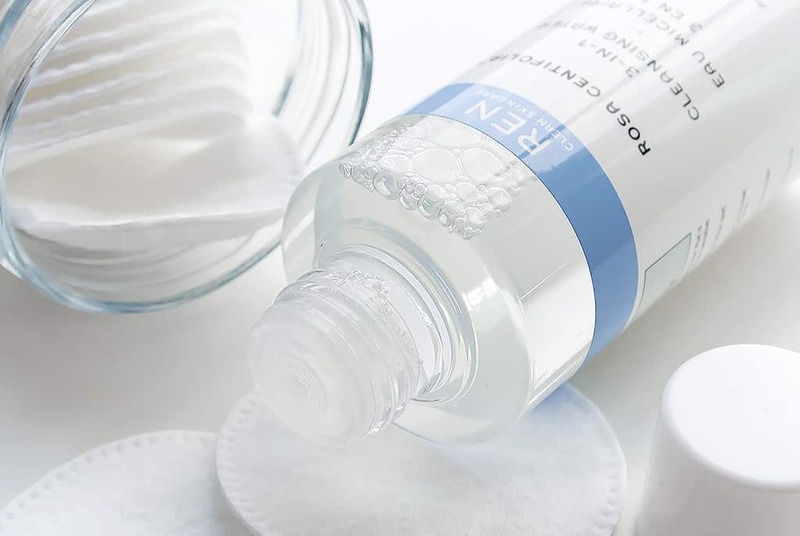 The REN Rosa Centifolia Micellar Cleansing Water is a micellar water, a detergent free cleanser that removes dirt, makeup, sweat and all the other nastiness that builds up on the skin through the day and during sleep. It’s good, although I find it very difficult to discern between micellar waters in all honesty. If you like the gorgeous REN range, Rose Otto, then you will like this as the same oil extract is used which gives it a delicious non-artificial Rose fragrance. It cleanses well and softens the skin without leaving it feeling dry and is such an easy-peasy alternative to cleansing the skin when it’s absolutely not possible to cleanse properly. It should really be used as a pre-cleanse to remove debris without using harsh surfactants and just makes dislodging dirt so much easier. Available here from John Lewis and here from Mankind for just £13 a bottle; you only need a small amount so it should last a good while. This article first appeared on MANFACE written by Thom Watson. It was published on Monday 2nd December 2013 and was last updated on Monday 3rd April 2017 at 3:23pm. It's categorised under Acne, spots & blemishes, Cleanse, Combination Skin, Dry / Dehydrated Skin, Enlarged / Blocked Pores, Oily Skin, Redness, REN, Sensitive Skin, Tone where you'll find more related content. Beautiful picture Thom! Love your honesty.